I looked forward to seeing you for the first time, two weeks before my actual trip. I thought of what we could do together and where you would take me. I thought of the quiet nights we could have together. The long, relaxed conversations we could make as we wait for sleep to call us in. But those things were not meant to be. All we did was have a few hurried minutes together at Calle Crisologo. We didn’t even get to talk about the heritage houses that line the historic street. We weren’t able to hear mass together at the old church. You weren’t able to take me to the old museum. Because I had to work. I’m so sorry, Vigan. I’m sorry I had to leave so soon. I’m sorry I spent most of my time with you working. Believe me, I wanted to stay. I wanted to talk. I wanted to see more of you. 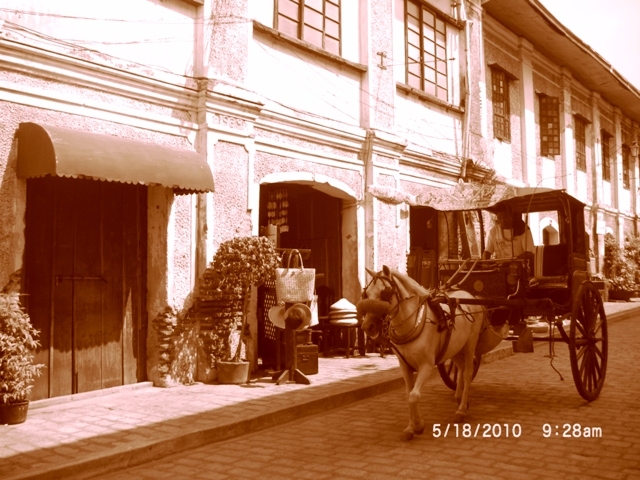 I’ll come back, Vigan. We’ll have a long, comforting walk along the beach. We’ll have that good conversation. For now, I can only share the few photos I had with you to my friends here in Manila. I’ll tell them what I can about you. It’s not much, but I’ll try. Sore throat and all.